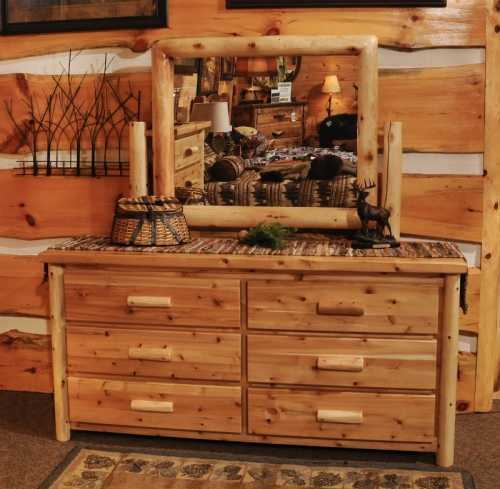 Made in Wisconsin, this White Cedar dresser is the perfect companion to our White Cedar Log bed. Careful attention to detail is given to each step of the building process to create a unique product that will be cherished for a lifetime. Each expertly crafted White Cedar dresser features high end dovetail drawers and full extension metal drawer glides.